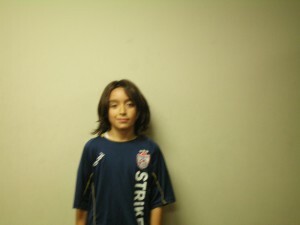 The 55th Member of the Soccer Fitness 20 MPh Club, Luca successfully performed 2 separate, 4-second running bouts, at a top speed of exactly 20 miles per hour, on Wednesday, November 30, 2011. Born in the year 2000, Luca has become just the fourth-youngest athlete ever to run 20 MPH in our Centre. The third member of the Woodbridge 2000 Boys tom achieve this feat, Luca has only been training with Soccer Fitness since July of this year, and we fully expect him to continue to improve his speed and fitness levels in the future. We at Soccer Fitness would like to congratulate Luca on his achievement, and are looking forward to continuing to work with him throughout his soccer career.